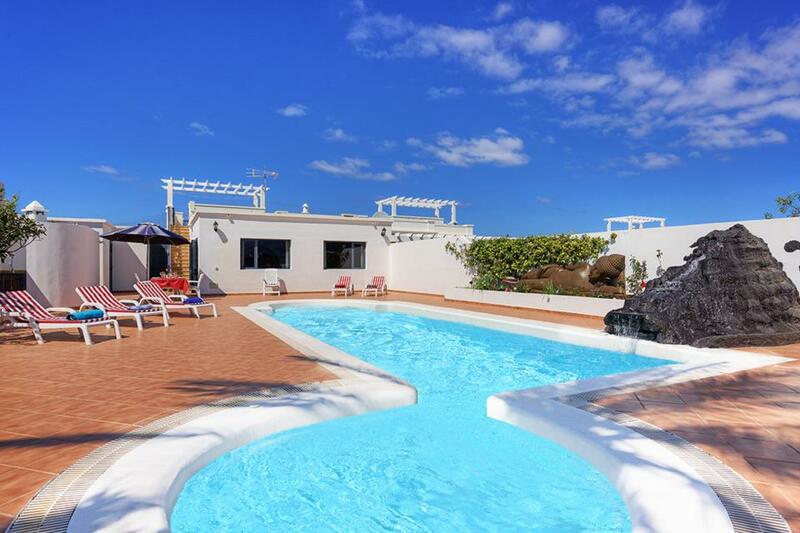 If you are looking for a large villa with plenty of facilities, Villa Teno is the perfect choice. If you are looking for a large villa with plenty of facilities, Villa Teno is the perfect choice. 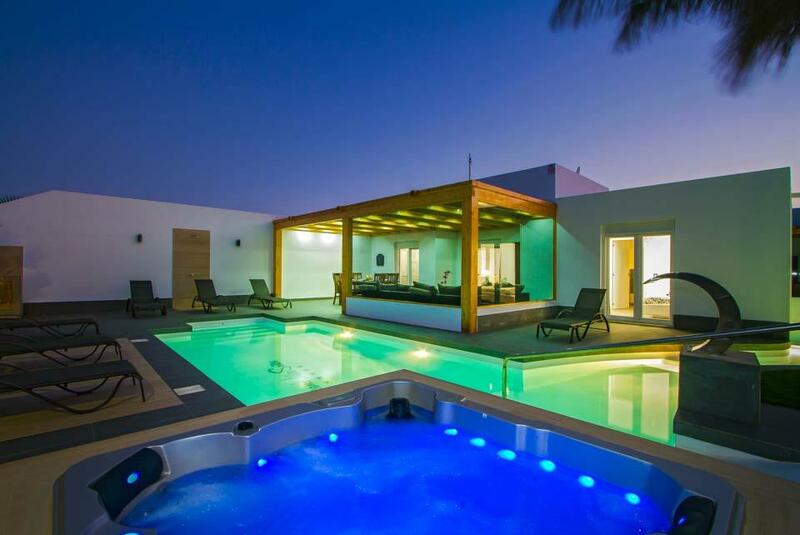 One of five exclusive villas for Solmar, this four bedroom and three bathroom property has it all. 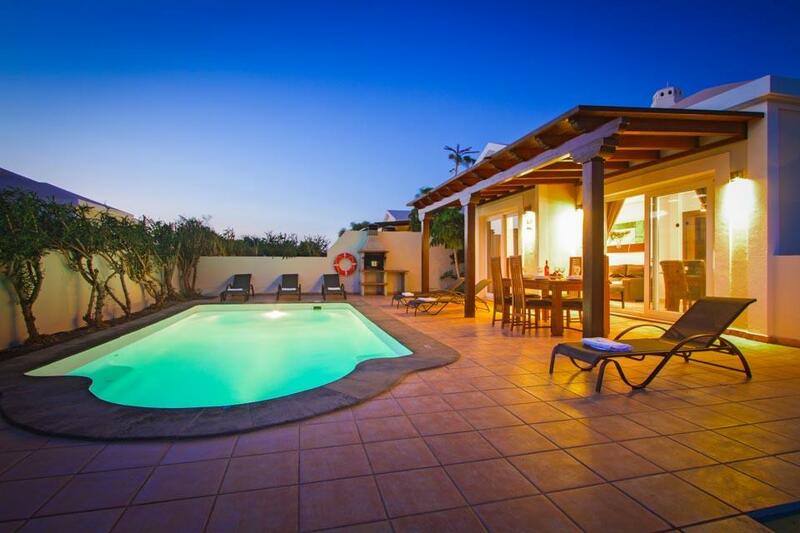 Located in the popular Papagayo urbanization, this lovingly furnished house offers air-conditioning in the living area and all bedrooms and free WiFi, this villa comes with a games console, table tennis, a pool table and English TV channels. 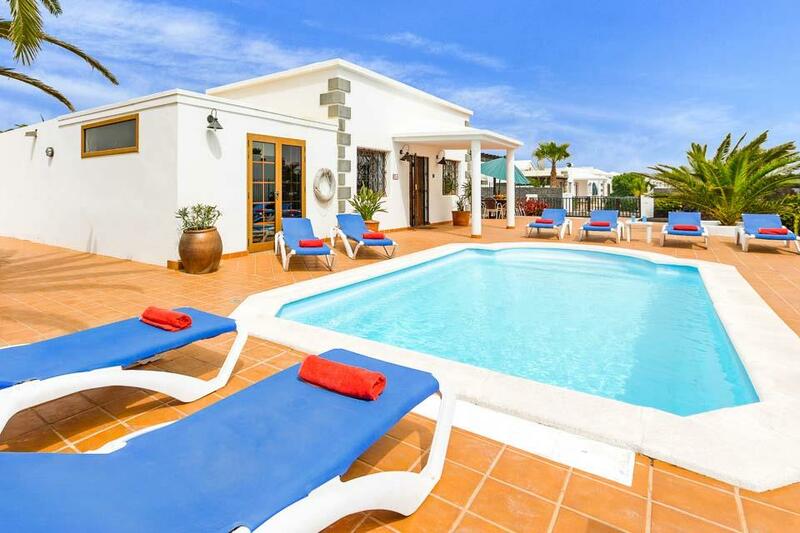 Two bedrooms are located within the main villa and two additional bedrooms are accessed via an external staircase to the side of the front door. Outside you will find your own private swimming pool, heated between the months of November and April. Rattan furniture and chairs are set under the pergola with a brick BBQ for lazy evenings dining alfresco. The popular resort of Playa Blanca with a fine selection of eateries and bars can be found within a 15 minute walk from the villa. Villas Platano, Amarillo, Calima and Siesta are also exclusive to Solmar for those looking for larger groups. 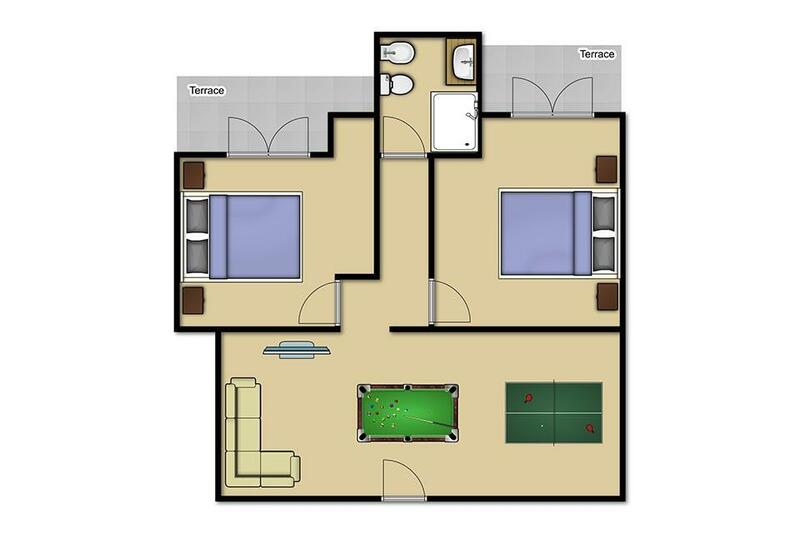 Very satisfied with every aspect of villa - size, facilities, location. Thank you! Loved the location - just 5 minutes walk to the front. Playa Blanca has a beautiful new Marina called the Rubicon - loads of shops and restaurants all top quality. Lovely little market in there on a Saturday. Thoroughly enjoyed the Fire Mountains and the Camel ride with the kids - We will be back! Well Playa Blanca was perfect, as usual, Villa Teno was a lovely home away from home. We were very happy with the villa, it was really clean and had everything, and more, that we needed to make our stay a very happy one. Playa Blanca is a lovely peacefull resort. Villa Teno had good air conditioning which made sleeping at night comfortable. 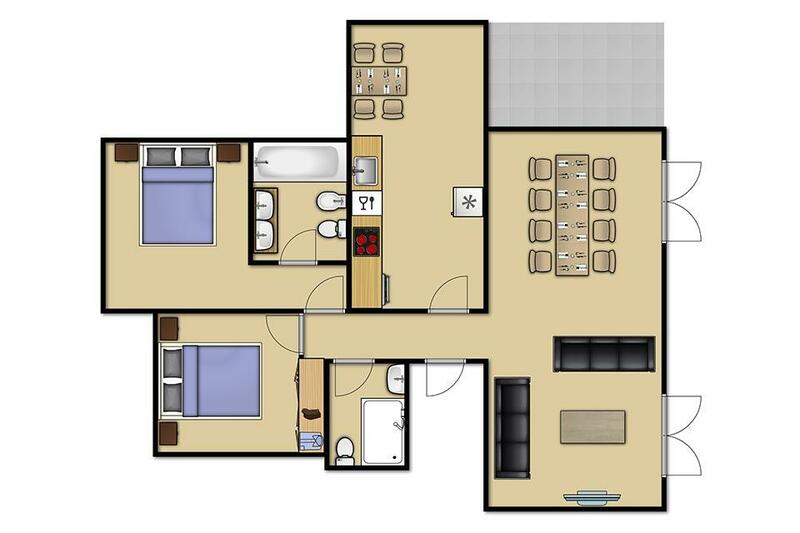 Room sizes were adequate. Main shower upstairs was very good and villa was very clean. We liked the fact that games were all indoors so we could play at any time.